IT goes without saying that pursuant to the adoption of the multi-currency system in Zimbabwe in January 2009 until about 2015, one could withdraw up to US$5 000 from an automated teller machine. Over the counter (i.e. from the tellers inside a bank), you could withdraw up to US$10 000. That is how liquid the US dollar-powered financial system was. Against the backdrop of the foregoing, and given the ongoing currency debate led by the newly-minted Finance minister, Professor Mthuli Ncube, the question which arises is: within the mooted currency choices, which one would suit Zimbabwe best? Ncube has given three choices, the first being the adoption of the US dollar only and removal of the bond note, (that is to say, dollarisation without the multi-currency system). The good thing here is the removal of the toxic bond note which is the very currency that fuelled the current financial crisis in the first place. It can be argued that what would be ideal would be the removal of the bond note, but retain the multi-currency system, thus restoring it to its pre-bond note position. 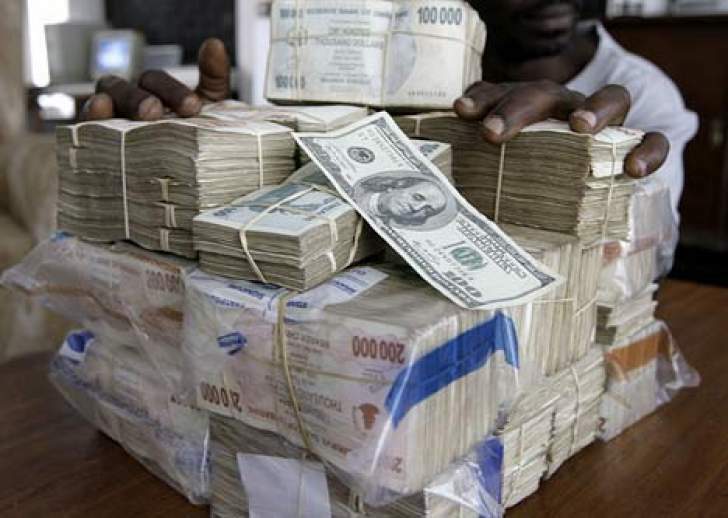 The removal of the bond note - which President Emmerson Mnangagwa indicated on Tuesday will remain with the multi-currency until the economy has stabilised - from the existing multi-currency can have the effect of restoring confidence in the Zimbabwean financial system. This will bring certainty and stability. Dollarisation through using the US dollar as pricing currency, but within the multi-currency system would suit Zimbabwe better than using the US dollar only without any currency choice for consumers. It is worth noting that in certain Matabeleland districts, including Beitbridge and Plumtree rural, goods and services are largely priced in rand and there is no cash shortage because rand is readily available with reliable supplies from the diaspora in South Africa. Adoption of the US dollar only will prejudice these consumers. The second choice mooted by Ncube is the adoption of the rand through joining the Rand Monetary Area, which currently comprises South Africa, Namibia, Lesotho and Swaziland. Ncube needs to understand that the rand was long adopted as a currency in Zimbabwe way back in January 2009 alongside other currencies within the multi-currency basket. Given that South Africa accounts for 80% of Zimbabwe's foreign trade, it makes logical sense for Zimbabwe to join the Rand Monetary Area anyway. The risk with joining the Rand Monetary Area though is that South Africa is headed for its massive land expropriation exercise. Invariably, this will have a negative feedback loop to the rand. The rand will be affected negatively by the land reform exercise in South Africa and that can destabilise the South African economy as happened in Zimbabwe which went through the same process beginning 2000. Consequently, Zimbabwe is likely to suffer twice, due to the two countries' land expropriation programme if it joins the rand zone. Since the rand is already formal legal tender (official currency) in Zimbabwe within the multi-currency system, it would be better to merely use it, de facto, as a main pricing currency (denominate all transactions in rand) without necessarily formally joining the Rand Monetary Area. This could help Zimbabwe in the event that the rand starts depreciating rapidly (as happened to the Zimbabwe dollar during the land reform period leading to hyperinflation and the economic meltdown). If Zimbabwe starts pricing its goods and services, including government services, in rand, but doing so within the multi-currency system and without formally joining the Rand Monetary Area, this could be the best option for the country. Not only will this enable Zimbabwe to retain currency and monetary stability, but it would also ensure that the country can still switch to other currencies in the event that the rand depreciates rapidly due to the now certain land expropriation exercise in South Africa. If Zimbabwe decides to use the rand as a pricing currency within the multi-currency system, it would benefit from the SIRESS system (Sadc-wide rand payment system that was developed by Sadc central banks), which ensures that rand-denominated transactions within Sadc replicate those occurring inside South Africa itself. In other words, paying someone in Johannesburg is the same as paying someone in Harare (no conversion to dollars, no foreign clearing agent in London or New York which entail costs). This brings us to Ncube's third proposal which alludes to the adoption of an old but new currency called the Zim dollar, supposedly backed by adequate foreign exchange reserves. Not only did Ncube raise this as a potential choice, but he also asserted that this is the ultimate choice, presumably in the medium to the long-term. The problem with the defunct Zim dollar is that it is a currency that has long lost the confidence of the markets (consumers and businesses). Consequently, the pronouncement that in the medium to long-term the Zim dollar would be adopted is a kiss of death insofar as the financial markets are concerned. This is likely to spook the markets, undermine and discredit whatever currency choice is made now. Investments are futuristic by nature. Therefore, if investors were to invest now in a US dollar or rand-denominated market, and on the back of their heads they know that these currencies are only temporary since they will be removed when the Zim dollar ultimately returns, this would have the effect of destabilising the Zimbabwean economy now. Ncube also made reference to adequate reserves backing the currency (Zim dollar). The question of whether there could be adequate reserves backing a currency was long answered during the Asian financial markets crisis in the late 1990s. The Asian tigers (Singapore, Hong Kong, South Korea and Taiwan) and other Asian giants like Japan and Malaysia tried in vain to intervene in their financial markets using their foreign currency reserves in a futile attempt to defend their currencies. Japan famously used up to US$60 billion of its foreign exchange reserves trying to defend the yen, but all to no avail. Malaysia's prime minister Mahathir Mohammad viciously attacked hedge fund manager George Soros accusing him of currency manipulation when the Malaysian currency was under pressure. What all this shows is that reserves are never adequate to defend a currency. It also raises the question: what exactly can be deemed adequate foreign exchange reserves for a country like Zimbabwe? The generally accepted definition of what constitutes adequate foreign exchange reserves is the so-called Greenspan-Guidotti rule. This rule asserts that the foreign exchange reserves of a country should equal its foreign exchange debt obligations maturing within a year. In other words, the ratio of foreign exchange reserves to debt obligations maturing in a year should be one. To apply this rule in Zimbabwe, one would have to calculate the country's external debt (inclusive of its imports) that is due within one year. As to whether this level of reserves can adequately back the country's currency, the resounding answer is no. Reserves have a limited capability of defending a currency. The value of a currency rests on the market's confidence in that currency. This raises fundamental questions about whether the Zim dollar will have the confidence of the market. Of course, this is a futuristic event and therefore unknown and unknowable. But judging by the history of the Zim dollar and especially given the fact that it previously depreciated to zero and was subsequently demonetised, it will take ages for the markets to have confidence in it. What this means is that the Zim dollar will remain a very vulnerable currency with a high propensity to depreciate. Its recent history serves as its Achilles heel. One other thing that Ncube alluded to is the relaxation or liberalisation of exchange controls. This one is a long overdue regulatory exercise. The relaxation of exchange controls will make Zimbabwe a good destination for investors knowing that they can easily repatriate dividends to their home countries. The present exchange control regulations are counterproductive and restrictive for a country that sings the "Zimbabwe is open for business" mantra. The removal of exchange controls would go a long way towards making Zimbabwe a "go to" investment destination. It is curious that no mention to date has been made regarding the relaxation of the bank regulatory requirement which prescribes that banks should put aside up to US$100 million as capital adequacy. In conclusion, Zimbabwe should remove the bond note and use the US dollar as pricing currency within the existing multi-currency system. Using the rand as a currency for the pricing of goods and services (including payment of salaries) by both the government and private sector will be good if this is done within the multi-currency system and without formally joining the Rand Monetary Area. If Zimbabwe wants to use the rand as a pricing currency, the country can start doing so with immediate effect. The SIRESS system is already in place to facilitate rand transactions. The debate about the potential return of the Zim dollar should be jettisoned for now given the poisonous nature of the Zim dollar. Any mention of bringing back the Zim dollar is likely to spook the financial markets and scare away investors. Ncube should make it clear and unequivocal that the debate about the future return of the Zim dollar will only start after meeting the government's 2030 objectives. The government must deliberately start telling the markets that the Zim dollar is not part of the short to medium currency solution as Mnangagwa did on Tuesday. If currency reforms are undertaken as discussed and suggested above, liquidity will return to the financial system. People will be able to withdraw from automated teller machines up to US$5 000, while they can withdraw up to US$10 000 from bank tellers just like prior to the introduction of the bond note. Of course, revival of production and exports, and financial inflows amid economic stability, are critical to currency reforms. Ndlovu is an economist formerly with the South African Reserve Bank and was winner of that institution's highest honour, The Governor's Gold Prize, in 2014.